Affordable option to turn a bathtub into walk-in shower. Existing bathtub is modified to include an insert with or without a door. 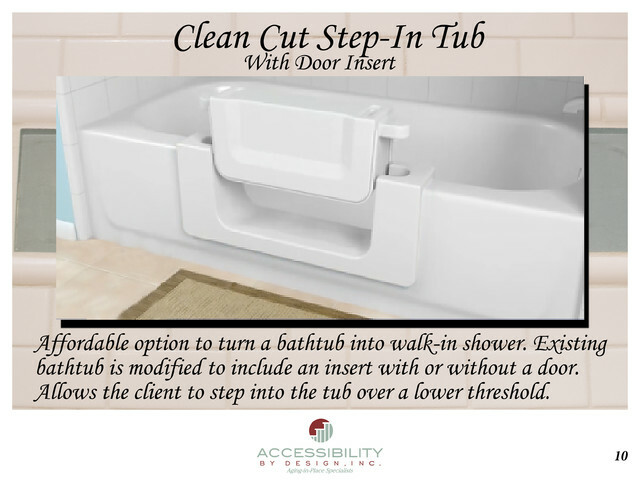 Allows the client to step into the tub over a lower threshold.